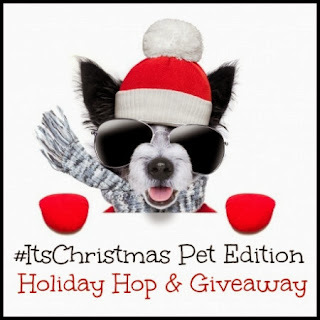 Welcome to the It’s Christmas Pet Edition Blog Hop! 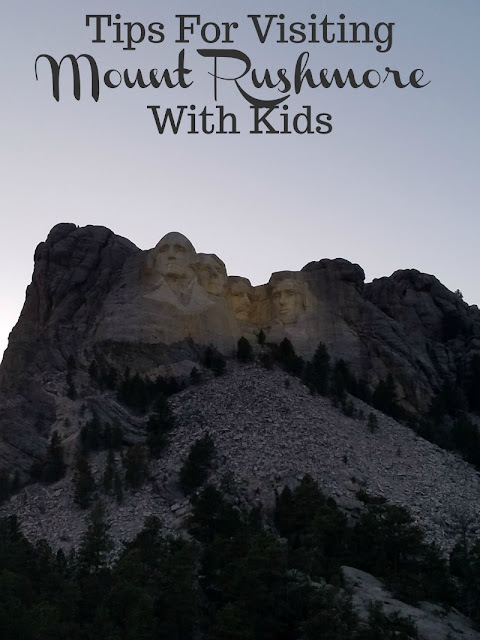 With Christmas just around the corning the MPM Blogging Network wanted to take a few moments and show love for a few of our furry best friends! Each participating blog below is hosting their very own unique pet related prize or prize package. Make sure you stop by them all and say hello. The It's Christmas Pet Addition Giveaway Hop is live 12/2 at 6pm central and ends 12/16 at 11:59pm. Make sure to enter the Grand Prize $200 PetSmart Giveaway. One lucky reader will receive $50 Amazon Gift Card! Ends December 16th at 11:59pm, open worldwide, ages 18+. 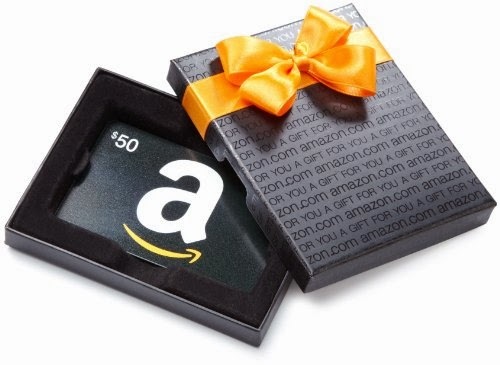 To enter please use the Rafflecopter form below. Good luck. I would buy a bed for my puppy Opal, a tree or cat beds for my cats, and some hay, food, and a toy for my guinea pigs! I would buy my friends' animal rescue wish list items. I would buy Nutramax Dasuquin with MSM for Large Dog for my babies that are getting really old and sore. I'd buy more Innova dog food & an elk antler or two. I would use it for Halo Purely for Pets dog food. It's all natural. Absolutely no chemicals or synthetics. I'd uses it on Greenies Tub-Pak Treat for Dogs, 27-Ounce, Large ! I knew before I went, because I shop Amazon all the time. I buy my little dogs the best food our vet has ever seen: Stella and Chewy's freeze dried chicken steaks and carnivore crunch chicken treats. No more sick shih tzus. One of my dogs needs a new collar. I would get the Kakadu Pet Orbit Padded Nylon Dog Collar, 3/4-Inch by 18-Inch, Blue with Red Trim. I would love to have the Booster Bath Elevated Dog Wash Tub for our dogs. I would love the Aquarius Aq360-6g Gloview 6-Gallon Aquarium Kit, my hubby has an old aquarium! Cat litter! Or maybe my dog's food, since it's not available here. I would buy treats and nylabones for all four of my dogs. I'd get the Super Bird Creations Rainbow Bridge Bird Toy, for my daughter-in-law's parrot. I'd get some Nature's Miracle to make my house smell less like I have 4 pets! I would buy some Purina pro plan dog food! It would be for cat food that costs about 40.00 because our cat is allergic to most foods. a dog bed or some gates! I owuld get the Zilla Fresh Air Screen Habitat for Reptiles for my chameleon. I would buy some Wellness canned food for my dogs. We have two dogs who both love to play with toys and eat treats. Thank you for the giveaway to help buy these items. I would buy a bed possibly, K&H Lounge Sleeper Self-warming Pet Bed, and Greenies. I would definitely use it to buy our two new puppies collars. I would also use it for some cat toys. I love my kitties! I have five Treeing Walker Coonhounds and each has their own personal color for their collars. At least four of them could really use new collars, and I love that the Hamilton Double Thick Nylon Deluxe Dog Collar, 1-Inch wide, not only has a metal belt-style buckle (I really don't trust the plastic clip style) and has them in the colors I want! I'd get four of these collars (I'd have to check the exact side and color for each before ordering). A lot of Friskies dry cat food! I'd get some Blue Buffalo Wilderness Grain Free Dry Cat Food. I'd love to use it for a dog bed. I like the AKC Casablanca Round Solid Pet Bed! I haven't settled on just one but I would love to put it towards a nice cat tree! I would buy some new rocks and such for my gecko's terrarium. I'd buy the Pioneer Pet Stainless Steel Fountain Raindrop Design. My cats would love it! I'd buy a huge tin of Musher's Secret! That stuff is great! My cats need more toys and food containers! I would put it towards getting my cats a new climbing tower like this one Go Pet Club Brown 72" Cat Tree F2081 my cats love the climbing trees. I would purchase the Solvit 62283 Deluxe Bench Seat Cover for Pet for the car from Amazon. since my Lhasa loves them! Thank you and Happy Holidays! I would use it for some Frontline. A new dog bed for sure. I would buy a window perch for my cat. I would buy my dog the Newman's Own Organics Adult Dog Food Formula, 12.5-Pound Bag. I'd get the Dog Games Puzzle Treat Triad by Kyjen. I would buy the Wahl 9590-210 Pro-series Complete Pet Clipper Kit - Corded or Cordless Operation, Blue! My dog really needs groomed right now!! I'd get the K&H Lounge Sleeper Self-Warming Pet Bed. I would buy my dog, Raven a new harness or a Kong toy! Cat liter! It gets pricy. I would love to get my son the H Potter Plant Terrarium Wardian Case for his lizards. I would get one of the beds for my dog but I'm not sure which one. I want to get some toys for our bunny! He's almost a year old now! I'd use the money to buy my cat a pack of Kong Naturals crinkle fish w/ feathers since he has the balls (instead of fish) and loves them. I'd probably use the rest just on food, specifically wet food since I have a lot of dry already and I can always use more canned. I'm looking for a new cat tree, so I would probably use it for that. I reaaaaaally want to get a cat tree for my little prince! Go Pet Club has some great cat trees that Amazon sells, so I would want to get one of those! OR a new cat tree! I'd buy some toys or food for my local animal shelter! My cat would love one of those burrowing bags. and my dogs always need a new toy! I would buy the SmartCat Ultimate Scratching Post. & I would also get my kitty a new collar, because she needs one. Might get the Kaytee Forti Diet Egg-Cite Food for Parakeets, 5-Pound Bag, and dog food. I'd buy the NOW! Grain-free Fresh 12 lb bag of dog food for my 5 mo old black lab, Ali. I would love to use the gift card to purchase the K&H Bolster Couch Pet Bed, Large 28-Inch by 40-Inch, Blue/Gray. Lovely! I have been wanting to get the Drinkwell Original Pet Fountain for some time and haven't been able to. This would be a great chance! My local animal shelter in in desperate need of thick blankets so I would buy some of those on amazon! I would use it to buy a drinking fountain for my kitties! I'd get the Liberty 50 Sml Dog With Igr - 044-600553 - Bci for flea control for our new puppy and then (hopefully) find the same item for our German Shepard!. Can't forget a few toys too! I think I would probably get a pet condo or some type of bed for my kitty! Thank you for the giveaway!! I would get my dogs a kennel. We don't have one and really need one. I'd definitely get some crystals kitty litter. I'd probably get a bed for either my cats or dogs (they sleep in each others already) like the Brinkmann Pet Paw Print Pet Bed 25 inch. I'd get carefresh litter and lots of applewood treats for my rabbits! For the cat, I'd get an airtight pet food container because his food get's old too soon in the food bag. Perhaps I'd even get the food can covers...Thanks! I would like to purchase the Medium Orthopedic 4 Pound Memory Foam Dog Bed in Washable Suede. Thanks for the super giveaway opportunity. Keep up the terrific blogging. I would use it to help buy Go Pet Club Cat Tree, 50W x 26L x 72H, Beige. I have 4 cats and the one we have only lets 2 sleep on it. I would definitely get the new cat tree for playing and scratching! I'd buy a Thermo-Kitty Hut for my cat, Buddy! I'd buy my pup some new stuffies and our chickens mealworms, their favorite treats. I would use it on the Jax and Bones Ripple Velour Napper Dog Bed. I would buy Kaytee Supreme Food for Rabbit, 10-Pound for our rabbit! Thanks for the great giveaway! My dog is older and has a hard time getting up on my bed so I would love to get him the Solvit PupSTEP Plus Pet Stairs. I would prob buy a dog bed or some science diet food. If I won, I'd buy some Blue Buffalo Wilderness Jerky and some Zukes Hip Action treats for my baby, a couple cat toys for my boyfriend's pet and I'd use some to buy some treats/ biscuits for the local shelter. Thanks for the giveaway. I like the Canidae Dry Dog Food for All Life Stages, Chicken, Turkey, Lamb and Fish, 44-Pound. One thing I would buy is J&J Home Fashion Multi Purpose Pet bed for my old cat (19 in March). I would put it in front of the heat vent so she would be warm and secure. I would buy lots and lots of treats! And Blue Buffalo food! I would buy the 80" Cat Tree Condo Furniture Scratch Post Pet House. I would get the Galactic Crunch 20" Bird Toy and some cat toys. I would like to buy my boxer Daisy a new harness since she seems to go through them like there's no tomorrow lol! I would buy the percher portable training bird perch and a mouse hunter cat toy. I would get the Dog Game Puzzle Paw Flapper. My pouch sometimes gets into trouble when he is left alone. Something to help keep him busy for awhile would be nice. I would buy zymox ear stuff and zymox medicated shampoo for my dog who has bad allergies which causes her to have yeast fungal infections and zymox is the only thing I have found to treat her successfully so I would buy extra of them!! Cat litter and cat food! I would totally yet ANOTHER Kong ball. Our large dog will let the others have all the tennis balls in the house but will go hide all the Kong balls. We have to do a weekly cleaning. Maybe if we try the black Kong ball instead of the red lol. Thanks so much for the giveaway. Anything dog toy related, she loves to tear them up! I would buy Kong toys and Nylabone toys - the only things by dogs can't destroy. I would get my fur babies a huge box of Greenies..their favorite! I'd get some Hill's Science Diet cat food. Taste of the Wild Salmon dry dog food. I would buy cat litter and cat food. My cats are piggies!! I would get Shiloh some bully sticks or chews, and spend a good portion on donations for my local pet food pantry. I need to get pet steps so my one dog can get on the couch. He's starting to have issues and I have to help him up sometimes. I would get a cat scratcher tower tree. I'd love to get my dogs some new toys like the Plush Puppies Hide-A-Bee Pet Toy or the Plush Puppies Hide-A-Bird Puzzle Plush Interactive Dog Toy. I would love to be able to try the Now Fresh Grain Free Small Breed Adult Dog Bag, 6-Pound. I would buy Wellness Dry Cat Food for Adult Cats, Indoor Health Recipe. I would get some True Chews Dog Treats, Lils Beef Bully Sticks, 6-Count Package (Pack of 5) for my dogs. I would get a K&H Lounge Sleeper Self-Warming Pet Bed. We have been thinking about getting an elevated feeding system. To help her eating better.